In HobbitCloud we have the ability to deploy vRealize Automation workloads to multiple sites. This enables us to leverage different technologies like NSX for vSphere and NSX-T, without having to mix both in the same site. It also means that if we have to scale up workloads for certain projects, we can utilise different clusters. However there’s also an additional benefit to having multiple sites, and that’s to enable active/active deployments. Most HobbitCloud tenants don’t care where their workloads are provisioned. They just want to request resources and access them wherever they land. Occasionally there’s a need to specify a site, for example to ensure data stays within a certain geographical boundary – but this is the exception to the rule. For example, if a customer has two datacentres and wants to ensure both sites are used in an active/active manner, how can they achieve this without manual intervention? The aim of this solution is to calculate which site has the least memory utilization and deploy to that site. The first thing we need to do is configure our sites. To do this, we first need to edit the file DataCenterLocations.xml, which can usually be found in C:\Program Files (x86)\VMware\vCAC\Server\Website\XmlData on all IaaS Web Manager hosts. This needs to be the same on all Web Managers. //Cycle through, keeping the lowest mem. Deploy to this site. The only vCenters defined in vRO are compute (workload) clusters. If you have others, you would need to filter them out. The storage admin has decided that if vSAN usage goes above 65% then the deployment should bomb out. Hey, SAS SSDs are expensive, even for HobbitCloud. The above code only knows about two clusters/sites. If you bring more online, you would need to extend your case block. Feel free to remove the extraneous logging. I hacked that together in about three minutes, and it pays to be verbose at speed. Create a new workflow called Wrapper – Choose Availability Zone. Edit it, and drag an action onto the canvas. Select the action, save and close the workflow. Run the workflow to verify the least utilized compute cluster is returned. In vRA. 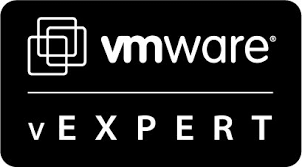 create a custom property called Vrm.DataCenter.Location. Give it a friendly Label, set the Data Type to String, Required to Yes, and the Display as to Dropdown. We now have the ability to deploy to the least used cluster. There is only one datastore defined per cluster, so storage selection is not an issue. However we have no control over which network will be selected. Reflects the naming convention for our NSX Universal logical switches. Amend as necessary. Select the vRO action we just created as an external value. Select the inAvailabilityZone input parameter, click Edit, then Bind, and use the dropdown box to select the Vrm.Datacenter.Location custom property. Repeat the process for the inBusinessGroup in parameter, this time selecting the custom property from Capture the Business Group at request time in vRealize Automation. Note: you can completely skip the business group part – it’s just how we define our logical switches. By specifying the network profile in this way, it will also choose the correct virtual network to assign to our VM. Bear in mind, this will work without any networking components defined on the blueprint – and if there are some defined, this will overwrite them. To tie this up, either add both custom properties to your blueprint, or create a property group for them both and attach that.